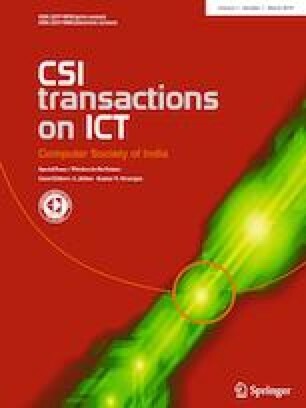 This paper deals with a framework to selectively offload the cellular networks’ data traffic onto WiFi (IEEE 802.11) networks to improve network performance. Existing architectures that are proposed based on the IETF Proxy Mobile IPv6 (PMIPv6) framework to support seamless data offloading lacks flow-level mobility support and have single point of failure. Recently, IETF has proposed extensions to PMIPv6 to support flow-mobility, in which the mobility decisions are done at the Packet Gateway (PGW). This adds complexity at the edge of the LTE core network. This paper presents a Seamless Internetwork Flow Mobility (SIFM) architecture that overcomes these drawbacks and provides seamless flow-mobility support using concepts of software defined networking (SDN). The SDN paradigm decouples the control and data plane, leading to a centralized network intelligence and state, providing several advantages. The SIFM architecture utilizes this aspect of SDN and moves the mobility decisions to a centralized Flow Controller. This provides a global network view while making mobility decisions and also reduces the complexity at the PGW. A proof-of-concept prototype of SIFM architecture is implemented on an experimental testbed. The LTE network is emulated by integrating USRP B210x with the OpenLTE eNodeB and OpenLTE EPC. WiFi network is emulated using hostapd and dnsmasq daemons running on Ubuntu 12.04. An off-the-shelf LG G2 mobile phone running Android 4.2.2 is used as the user equipment. We demonstrate seamless mobility between the LTE network and the WiFi network with the help of ICMP ping and a TCP chat application. Part of this paper was presented at IEEE WoWMoM 2015 conference in Boston, MA, USA, held during June 2015. The first author is presently with Nutanix, USA; the third author is presently with LinkedIn, India. Part of this work was supported by the DST-EPSRC funded India-UK Advanced Technology Centre of Excellence in Next Generation Networks, Systems and Services (IU-ATC), Chennai.